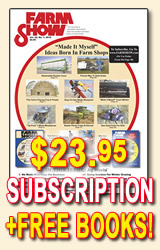 We're proud to announce our new 3-Volume Book Collection of the BEST "Money-Making Ideas To Boost Farm Income - Volume I, II, III. 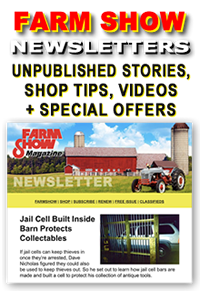 Each 168-page book a fantastic collection of more than 750 profit-boosting ways farmers and ranchers are increasing their farm income, starting a side-business or just earning some extra cash. Each 168-page book is chock full of tried and tested on-farm business ideas and proven money-making tips you won't find anywhere else! 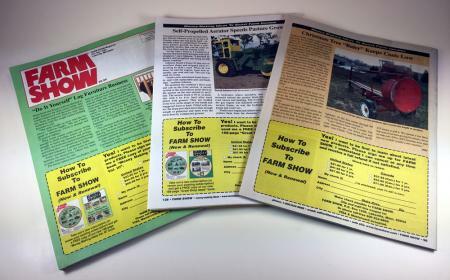 Even if you've kept every issue of FARM SHOW, you'll enjoy the convenience of having this collection, which pulls together some of our most popular "money-making" stories from the past issues of FARM SHOW. The ideas shown below represent only a random sampling of the "best income-boosting ideas" featured in this special collection.